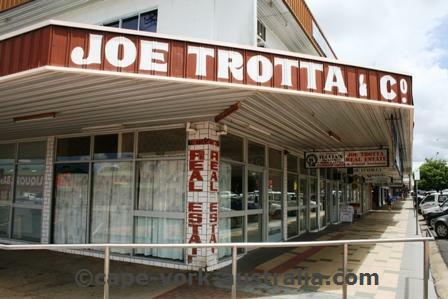 Mareeba is a nice country town west of Cairns and Kuranda. It has always been the centre of the surrounding farming country rather than a touristic town, and that's why it is so nice and relaxed, and not crowded with tourists like Cairns and Kuranda. 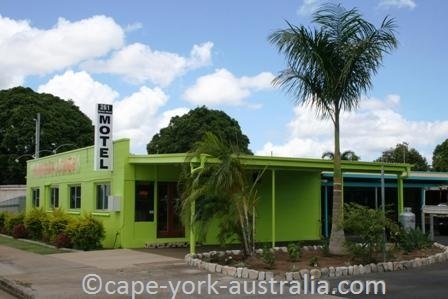 But it does have a few things to see and do for travellers; and it promotes itself as the gateway to Cape York, which, in a way, it is. 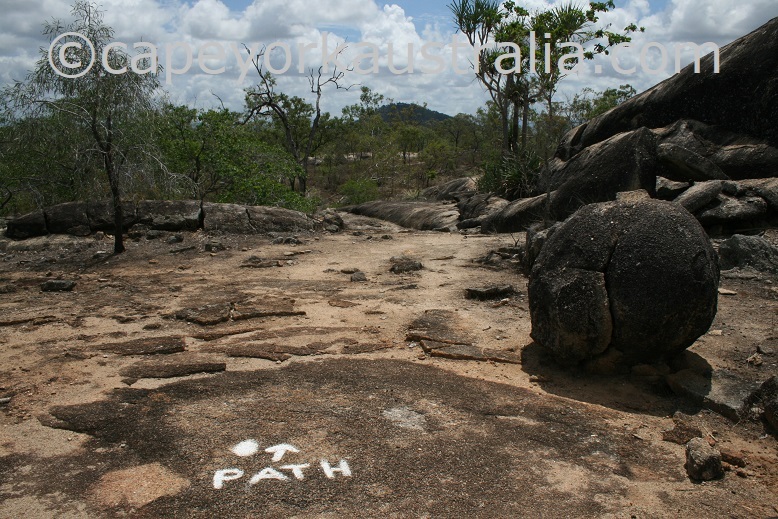 You are likely to pass through Mareeba either on your way up or down, and it's good to know what's there. Once you get here from Cairns, you have left the rainforests behind, and you have got down from the cold and rainy Kuranda range. 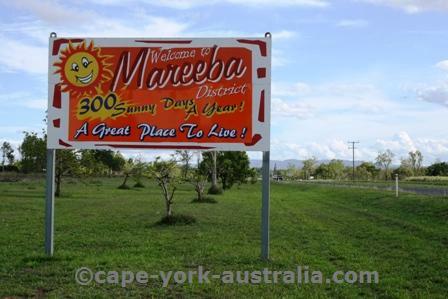 Away from the mountains, it rains much less here, and Mareeba is known for at least 300 sunny days a year. In the southern end of the town is Heritage Museum and tourist information centre. 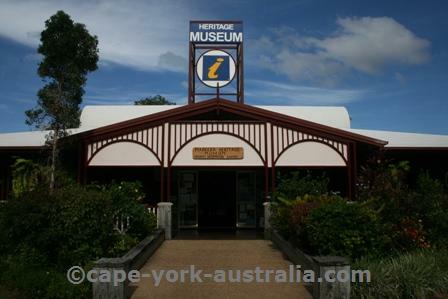 That's where you should start discovering - a great museum with interesting displays on the area's Aboriginal, pioneer, tobacco growing and mining history. And great tourist information too. Being in the middle of such rich farming country, there is an impressive amount of different farms that you can visit - but these are all outside the town. 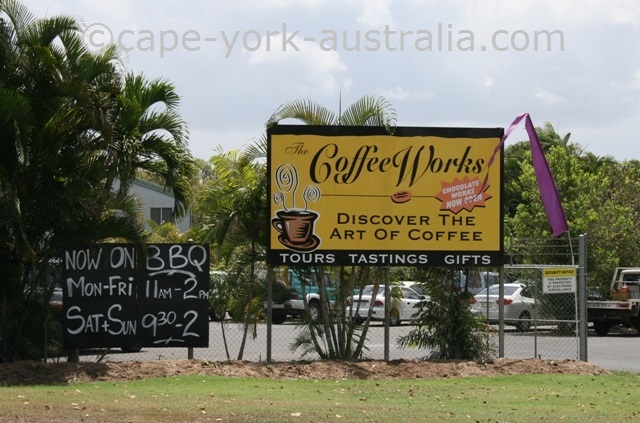 If you want to visit one (that comes closest to the tasteries of the farms) inside the town, there is the Coffee Works. Across the street from the Coffee Works is the Pioneer Cemetery that has the graves of the first European pioneers and settlers who arrived in the area in the late 1800s. Some of the better known ones were the pastoralist John Atherton and the prospector James Venture Mulligan. There are a few parks to walk in town. 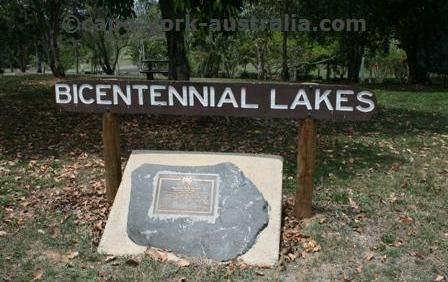 There is a walk that goes from Rotary Park to Bicentennial Lakes. And there is another one that starts at the Brewery Hole and goes along Barron River to the hospital. You can join the two into a loop by adding a few streets. 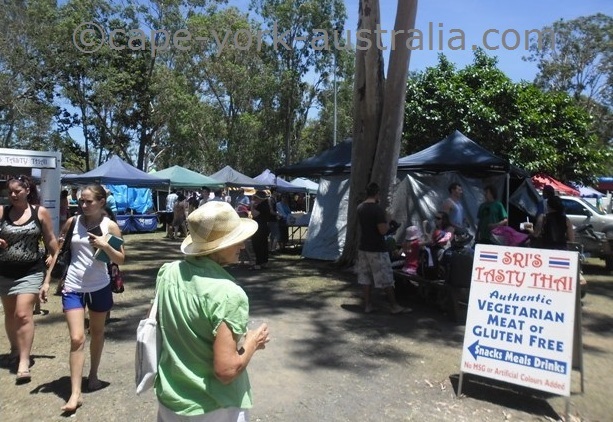 Once a month on a Saturday (the second Saturday of the month) there are markets in the Centenary Park. The town is on the Atherton Tablelands - an area very popular with markets - obviously thanks to the rich volcanic soils, a lot of produce is here. 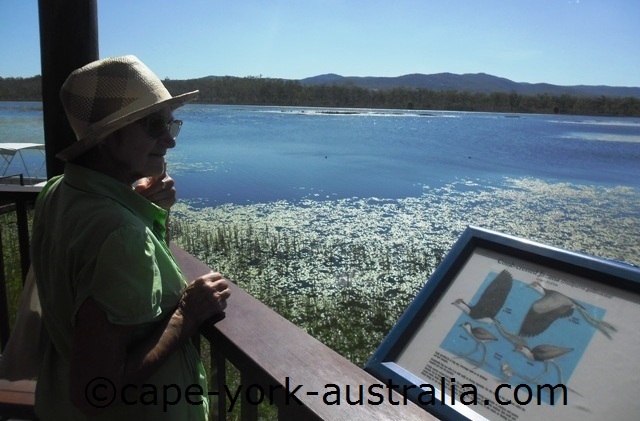 Mareeba Wetlands, just north of the town, is the most famous place to visit in Mareeba. How much you see of the hundreds of species of birds that live here, depends on the season, time of the day, and whether you do the walks and boat trips or just watch from the deck of the cafe. 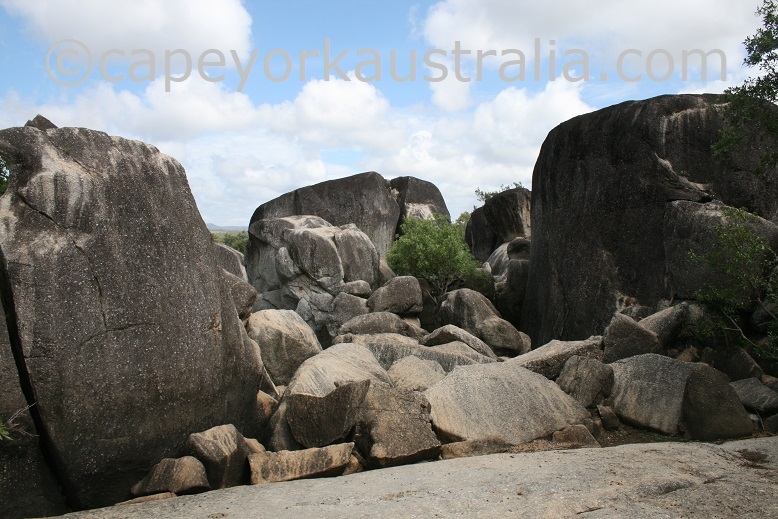 Another famous place is Granite Gorge, which is further out than the wetlands, and to the west of the town. And it is at least as good. The chances to see the birds are likely even better, there are some great walks and even swimming holes, and there are the endemic Mareeba rock wallabies. 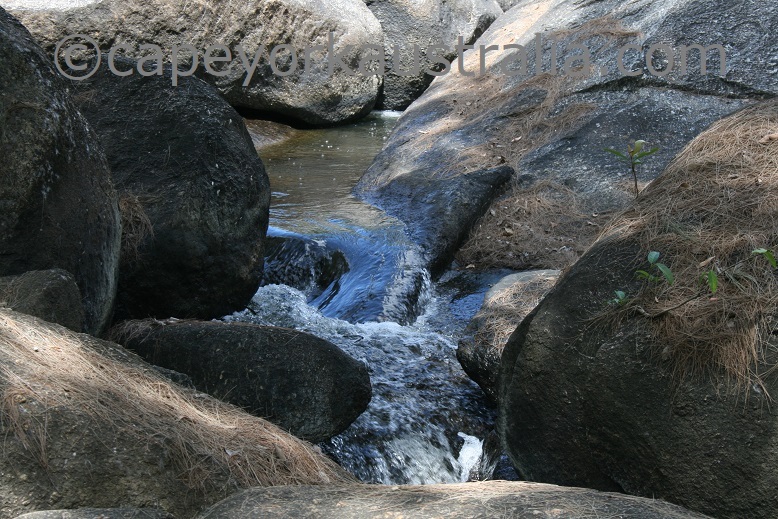 East of the town - on Kennedy Highway that comes in from Kuranda, are Emerald Creek Falls. 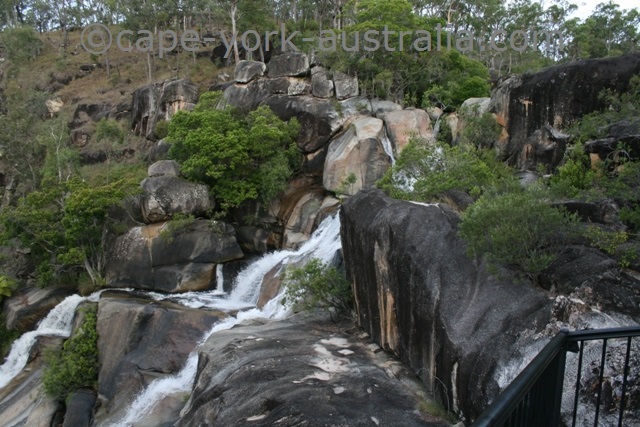 They are beautiful falls, and there is a very nice two kilometre return walk with many creek views that starts in the carpark. The next one east of the town after Emerald Creek Falls is Davies Creek. There is a track you drive to the creek, and from the spot with picnic tables you continue driving and then walk a short - less than a kilometre circuit walk to the falls. 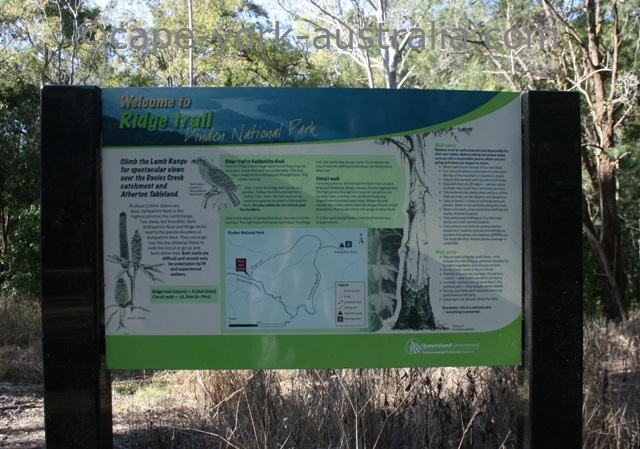 There are more walks if you are into bushwalking. From the picnic tables mentioned above you could walk three hours return to the falls along the creek. There is also a more serious walk to Mount Turtle, and there is the Ridge Trail and the Kahlpahlim Trail to Kahlpahlim Rock in Lamb Range. 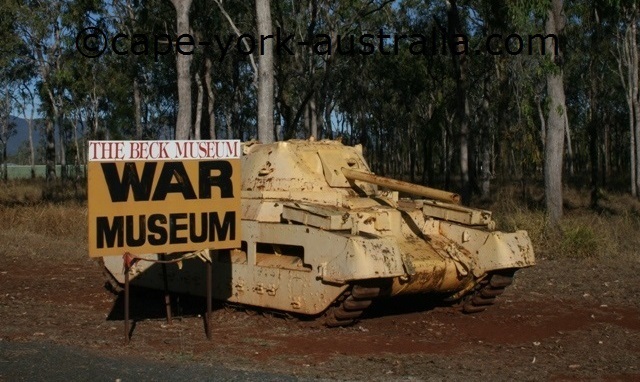 Northern Australia was bombed in the Second World War, and just like the Cape York peninsula, Atherton Tablelands and Mareeba were very much involved. 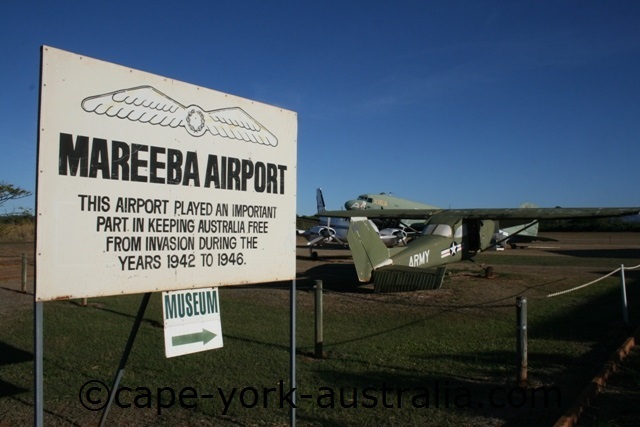 You can still visit training camps and all sorts of relics everywhere and Mareeba airport is one. South of the town just like the airport above, there is an impressive War museum in a shed with all sorts of machinery from the Second World War - something you don't generally associate Australia with as much as many other places in the world. Being on the Atherton Tablelands Mareeba also has very rich soils and consequently a lot of different farms - macadamia, tropical fruit, cattle, sugar cane, tea, and coffee farms that are popular with international backpackers getting their second year visa doing fruit picking jobs. Tropical fruit farms include avocado, banana, lychees, mango, pawpaws (papaya) and others - some grow them to sell as is, some also make tropical fruit wines. The ones that make wines welcome visitors to taste and buy - just like the grape wineries in the southern parts of the country. 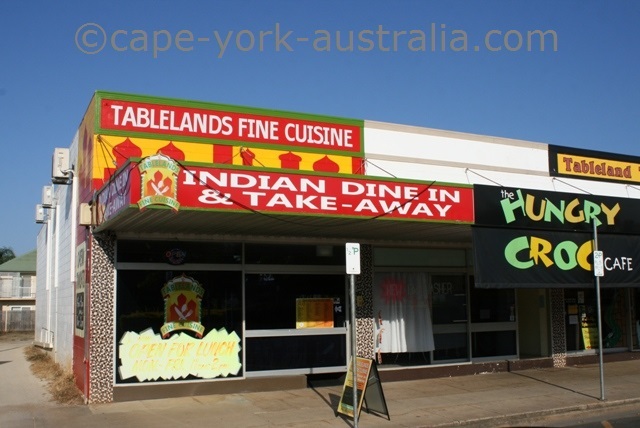 Mareeba is big enough a town to have MacDonalds, Red Rooster, Domino's Pizza and Subway - enjoy these before heading north, because it's the last town to have any fast food chains. And there are also the pubs, some small restaurants, and even a local ice creamery east of the town. There are many different places to stay in town. There are a good few caravan parks, motels, hotels (pubs), farmstays etc. 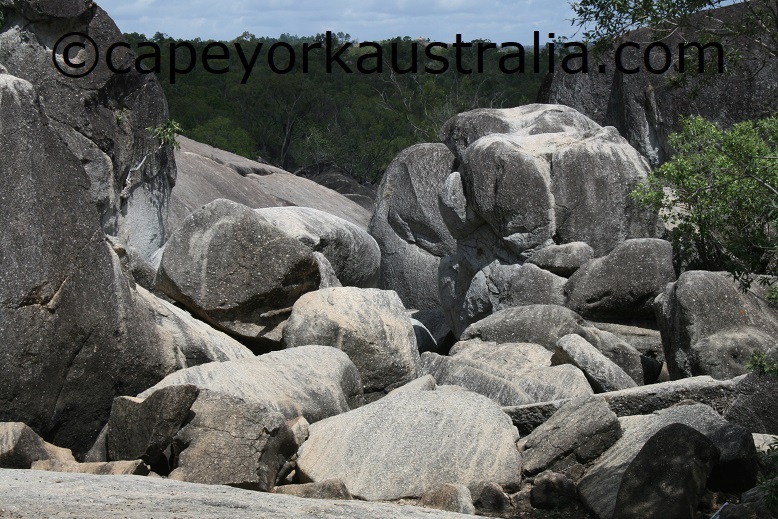 You can also camp in Granite Gorge, and there is great luxury accommodation at Mareeba Wetlands north of the town - in the excellent Jabiru Safari Lodge. With the rich farming country all around it, the cool Atherton Tablelands just south, the warmer coast and tropical rainforests just east, only 60km to Cairns, a great sunny weather and a fair few natural wonders just outside the town, Mareeba is also a popular place to buy property. 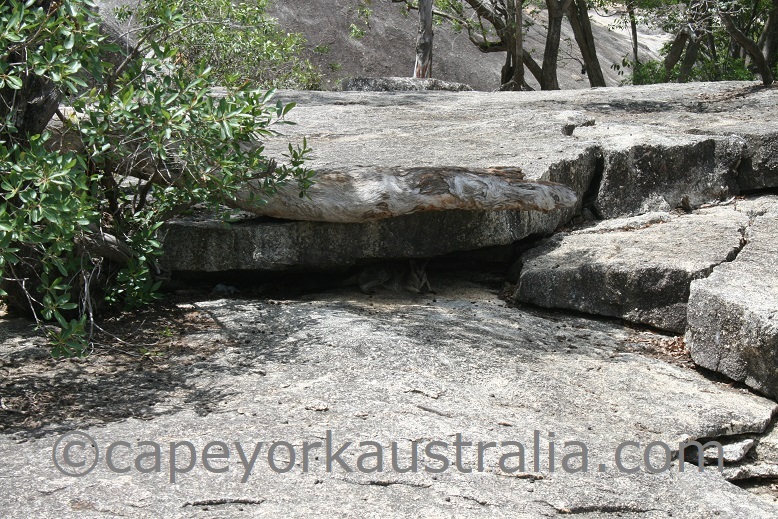 Granite Gorge is a great place to visit. 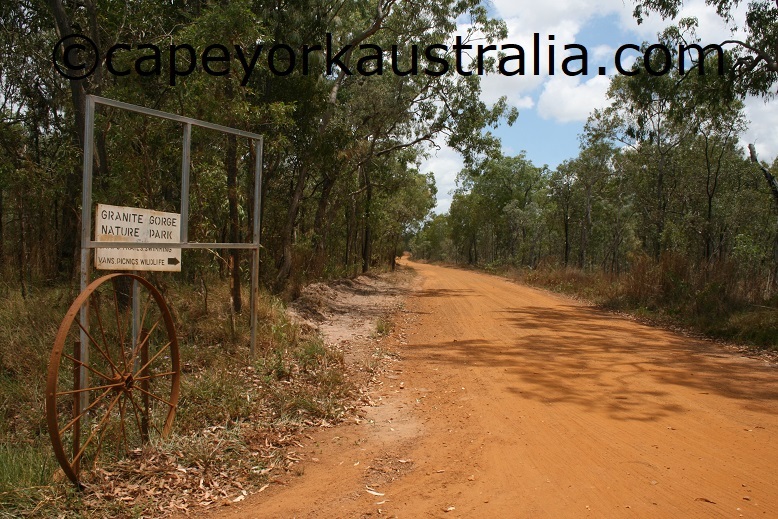 It is just outside Mareeba, in southern end of Cape York peninsula. 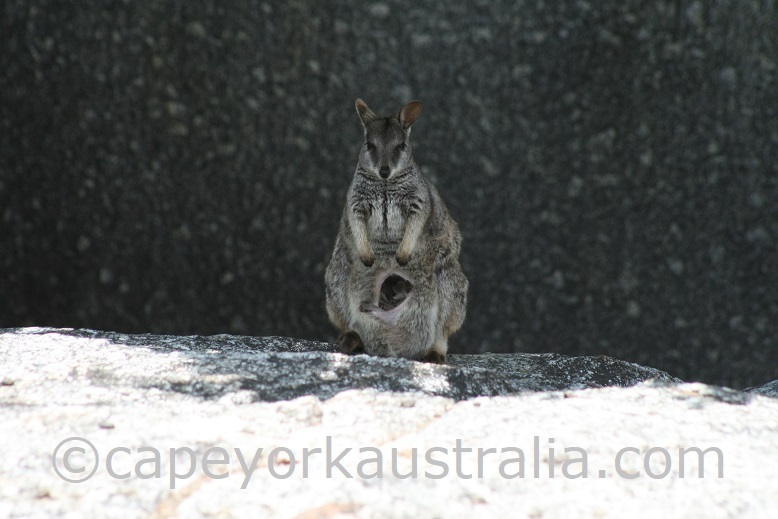 It is a lovely place to come for a walk or a swim on a hot day, or bring your kids to watch the friendly wild Mareeba Rock Wallabies. The bird life is also quite amazing, I took many of my bird photos here. 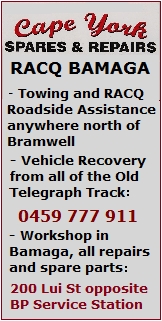 Just follow the signs from Mareeba to get here. The gorge is quite fantastic with massive granite boulders. There are a few nice walking tracks around here. .. and some very friendly wallabies! ... and a camping ground where you can stay. 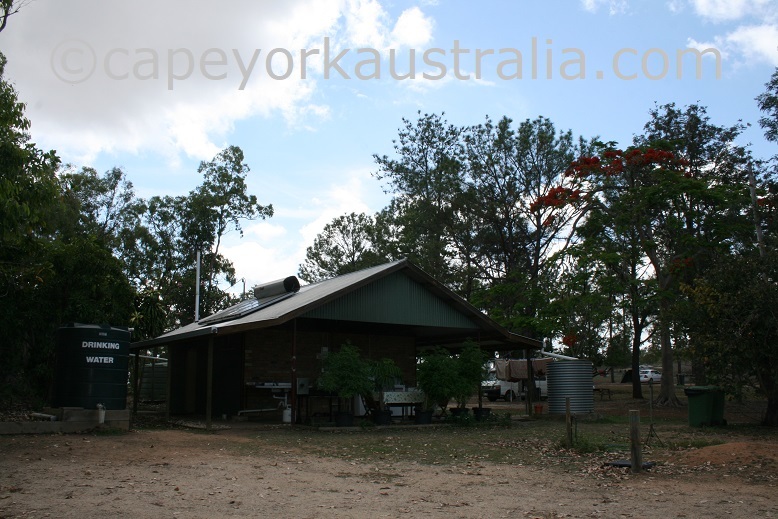 Mareeba coffee farms are nice places to visit. On the fertile volcanic soils of Atherton Tablelands, Mareeba has always been the centre for the extensive farming country that surrounds it. Mangoes, lychees, pawpaws, chillis and avocados are all grown around the town, and there are also coffee farms. Those are open for visitors, most have a cafe and a shop, some even have tours and restaurants. 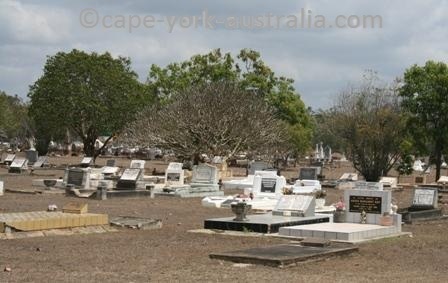 Skybury is one of the best known ones, and they are also the oldest one in Australia. They have the Australian Coffee Centre - an impressive timber buidling with open decks with views over the plantation. West of the town, they have a restaurant, a gift shop, and plantation tours with tastings. 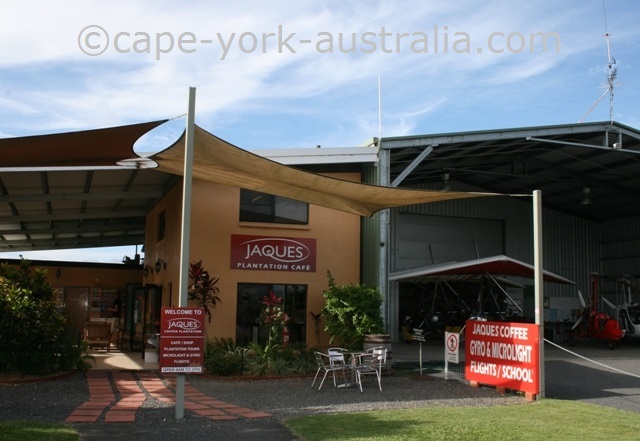 Jacques is the second best known with its cafe and gift shop, fun plantation tours in the first mechanical coffee harvester in Australia, and even microlights and helicopter flights - the whole thing is mostly like a tourist attraction. It is east of the town, along the road to Cairns and Kuranda. Also east of the town, a bit further out than Jacques, is Tichum Creek coffee farm. It is a less touristic and more personal experience where you can talk to Mario and Claudia to hear their story, and choose between many yummy flavours of coffee to take home and/or drink here. 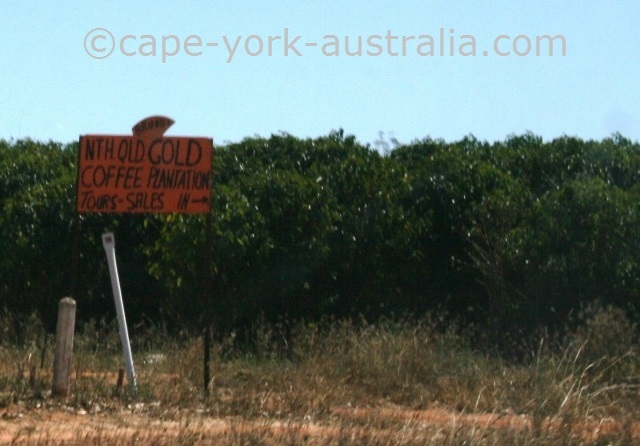 Another Mareeba coffee that is less touristic and more of a real experience is the NQ Gold Coffee, which is west of the town, not far from Skybury. Bruno has plenty of flavours you can buy even online, and his tour is not on a fancy machine - you walk, but it's real, and it's good value. 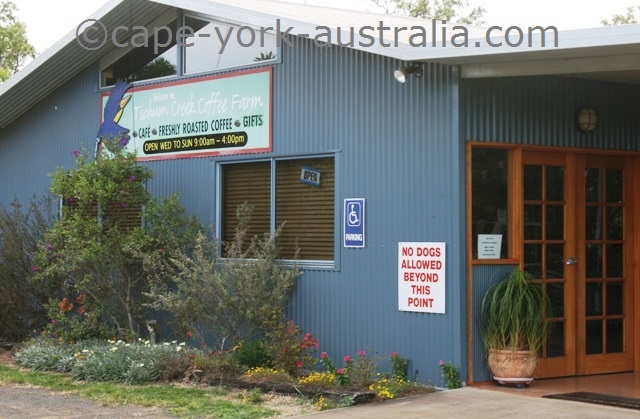 And finally, in the town itself is Mareeba Coffee Works, a very touristic and fancy shop and cafe where you can eat, drink and buy liqueurs, 12 different chocolates, four different teas and 21 different coffees from Australia as well as overseas, including Africa and South America. Mareeba wineries are fun places to visit. With so many tropical fruit farms and plantations growing on the fertile soils around the town, no wonder Mareeba is home for a few wineries. There are two tropical fruit wineries and one distillery just outside the town. All are open daily for tastings and purchases, some even serve meals. 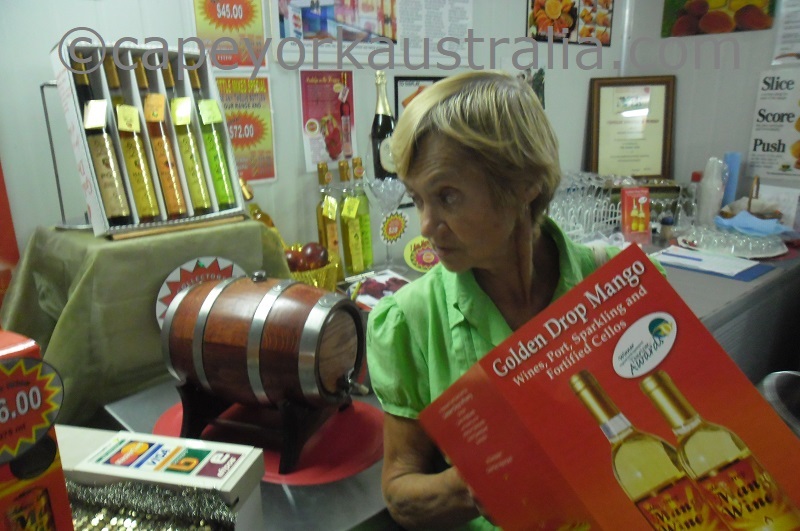 Golden Drop Mango Winery is the oldest of Mareeba wineries. 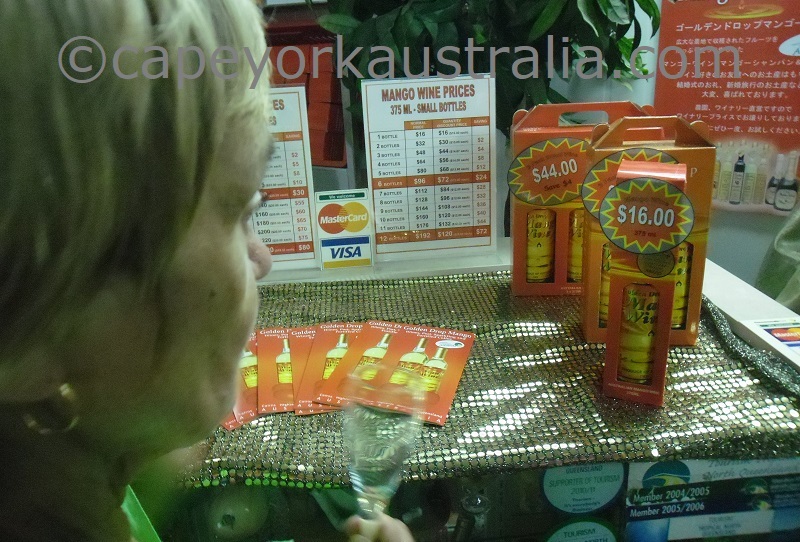 It makes mango wines from its Kensington Red mangoes grown on one of the largest mango plantations in Australia. 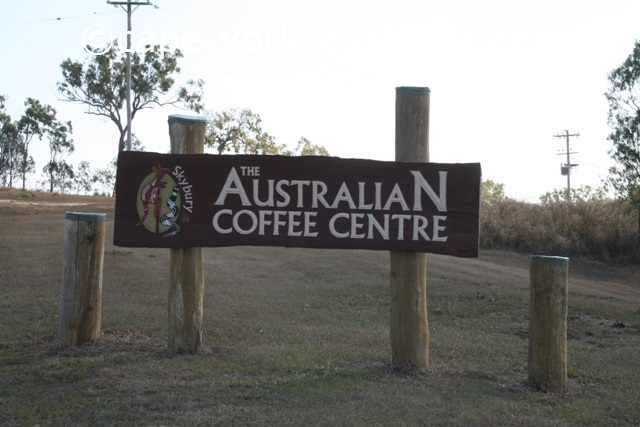 It is just north of the town near the turnoff to Mareeba Wetlands, and it is open for visitors with daily tastings. 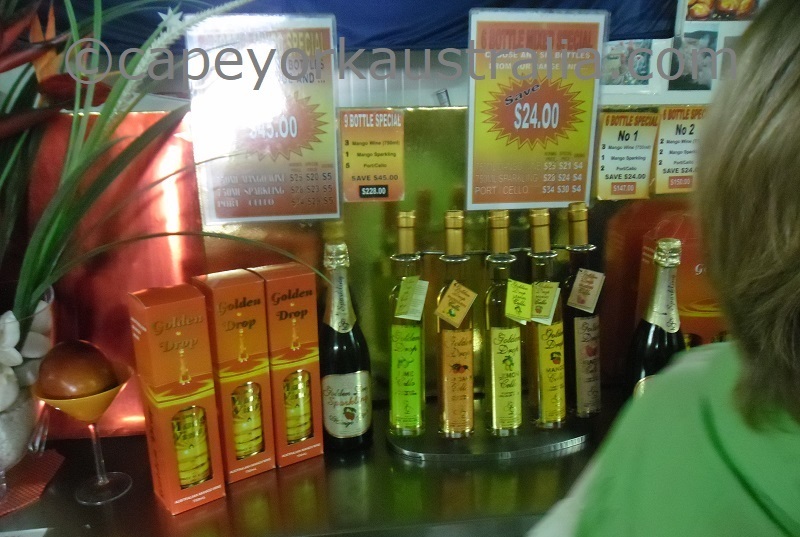 De Brueys Botique Winery is just east of the town off the road towards Cairns and Kuranda. It uses a wide range of different tropical fruits including mango, lychee, jaboticaba, passionfruit and bush cherry to make wine, port and liqueur. 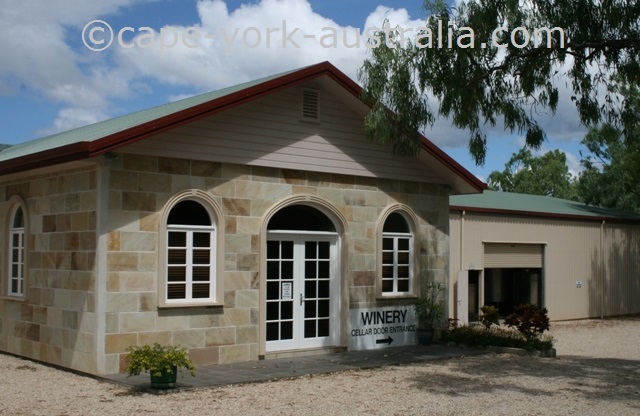 And it is open for daily cellar door tastings. 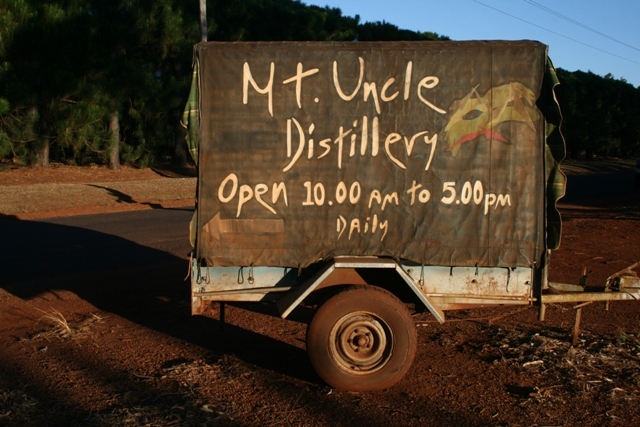 Mt Uncle Distillery is south of the town towards Atherton, and it produces rum, whiskey and vodka as well as liqueur from coffee and different fruits such as Davidsons plum, banana, marshmallow and mulberry, plus limecello and lemoncello. It also makes and serves coffee, tea and meals. And there are a few more tropical fruit wineries elsewhere in the tropical north Queensland. With a climate too hot for grapes to grow, tropical fruit wines are very popular. 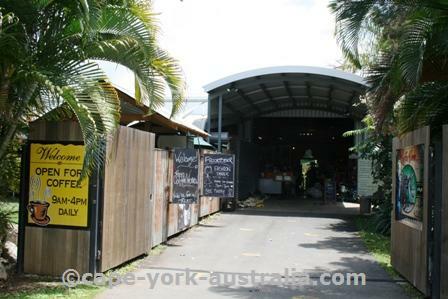 North of Mareeba wineries is Shannonvale Tropical Fruit Winery near Mossman and Port Douglas. They make single fruit wines out of mango, lime, jaboticaba, passionfruit and ginger; and port wine out of lychees, kaffir lime, chocolate, black sapote, orange, purple mangosteen, jabiticaba and ginger. South of Mareeba wineries are Murdering Point Winery near Kurrimine Beach, Paradise Estate Winery near Mission Beach, and the Pacific Blue Winery in Townsville. Murdering Point Winery is the nothernmost one, 1.5 hours south of Cairns. It is a family business located on a sugar cane farm. It is open daily for free guided wine tastings, where you can also learn about the region's history. The wines are made of jaboticaba, davidson plum and lemon aspen. Paradise Estate near Mission Beach claims being the largest and oldest banana winery, but nowadays they don't do single fruit but interesting mixed wines from banana, mango, pineapple, coconut, pitaya, vanilla oak, french oak, davidson plum, kaki, bush lime, blueberry and strawberry. Pacific Blue, in Townsville, makes tropical fruit as well as grape wines. The fruits include mango, grapefruit, passionfruit, lime, lychee, sapote and cumquat. Golden Drop Mango Winery is just north of Mareeba. 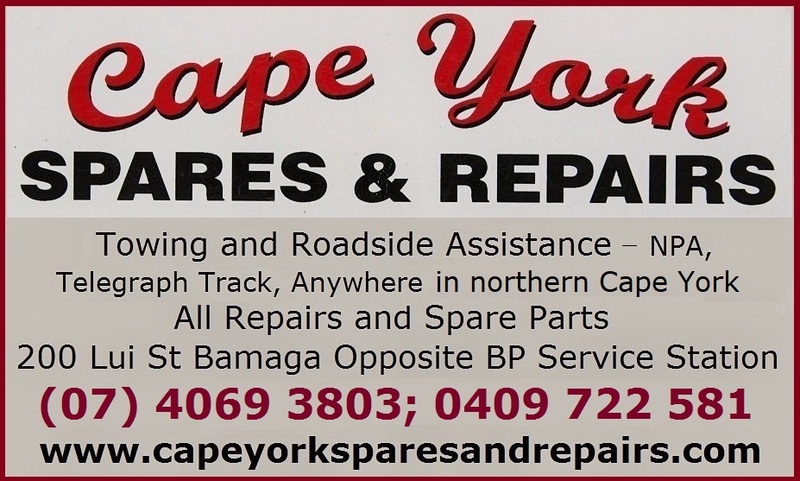 It is a few kilometres into a road that turns east just south of Biboohra, almost across the highway from the turnoff to Mareeba Wetlands. They also have a shop in Kuranda ('new' markets on Coondoo Street), and they are generally the best known up here, running the cleverest marketing. 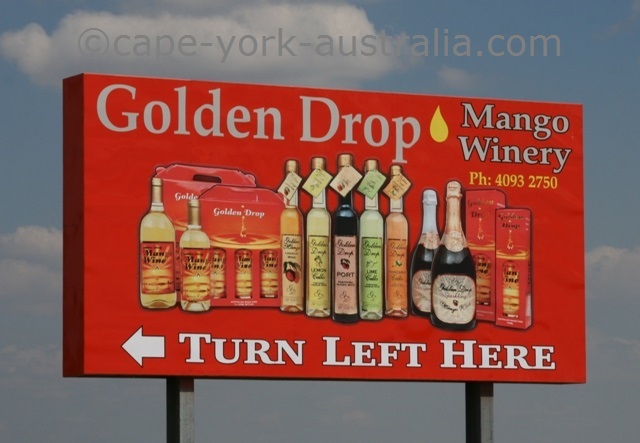 When my Mum was on a visit from Europe, a tropical fruit winery visit was on the plans, and Golden Drop was the place to go. What we tasted (I had never doubted) was beautiful. Mango wines, and all the other tropical fruit wines, have the reputation to be sweet and sticky - but you only believe that until you try one! They are perfectly dry despite been grown from sweet fruit - the method is different from making grape wines. Golden Drop Mango Winery is a family business with one of the largest mango plantations in the whole country. It used to be a tobacco farm and later a mango farm before they started making mango wines. 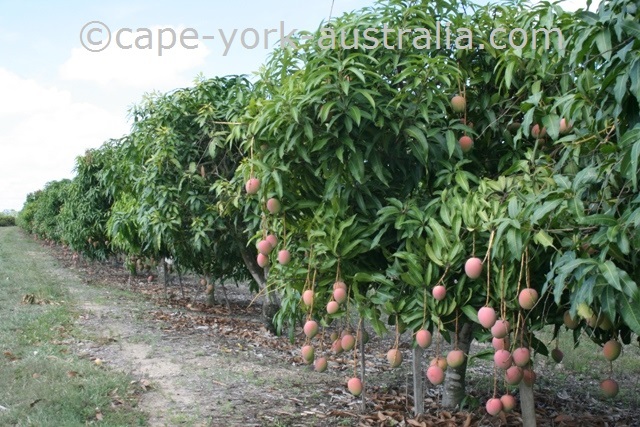 Apart from selling wines this mango winery is also a tourism attraction for both overseas visitors and southern Australians to whom tropical fruit wines are an interesting change from their own traditional grape wines. 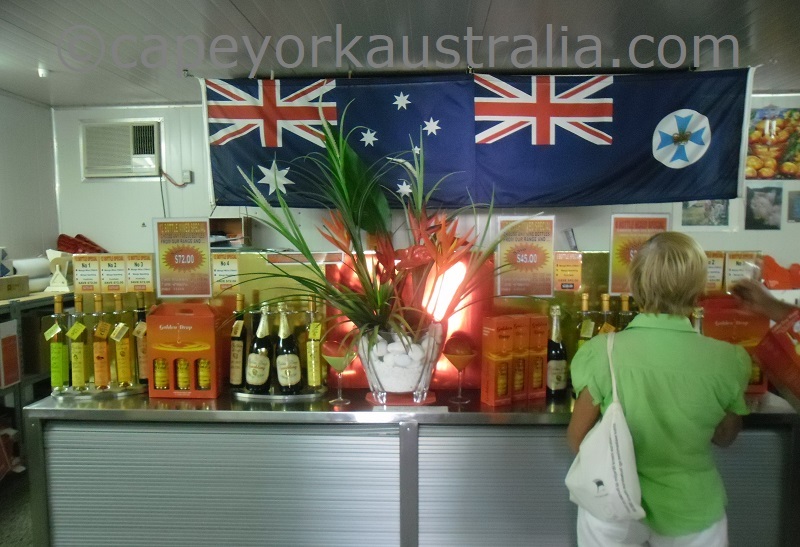 You can go and taste their wines for free, and you can buy their dry wines as well as Mango Port, Citrus Cellos and Golden Mango liqueur - all made from their own Australian Kensington Red Mangoes.